When we acquired MEC's current home in 2012, we committed as an organization to operating our building in a way that embodies the environmental values at the heart of our mission. We recently completed the newest project in that effort. Srinergy, a solar project developer from Novi, installed eight solar panels on MEC's south-facing roof, which will generate an estimated 2,839 kilowatt hours (kWh) per year. That will offset about 11 percent of the electricity used each year in our 5,800-square-foot property, which houses 20 full-time workers (employees and tenants) along with several interns and fellows. We'll save about $400 a year in avoided electric costs. MEC is implementing this project with financial support from the Wege Foundation of Grand Rapids. 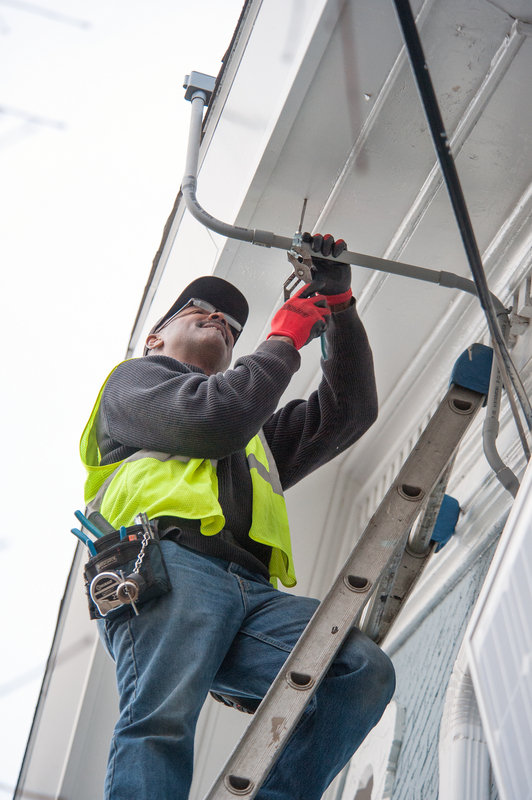 In 2013, we invested the first installment of a two-year Wege Foundation grant in an intensive insulation project, state-of-the-art heating and cooling equipment with smart thermostats, and highly efficient plumbing fixtures and toilets. We've also implemented procedures to reduce and recycle solid waste and emphasize sustainability in all of our purchasing, from office supplies and cleaning products to coffee and electronics. Together, those measures earned us LEED Platinum Certification, the highest level awarded by the U.S. Green Building Council's program for existing buildings. The solar project will further strengthen our building's environmental performance, as will other upcoming projects. For instance, we're working on providing ample, convenient bike parking on site. We also have plans to reduce stormwater runoff. We'll do that by collecting rainwater in a cistern and by replacing some of our asphalt parking spaces with more porous materials that can absorb and filter rainfall, rather than sending stormwater and pollutants straight to the sewer drain. We'll provide updates on these projects as they develop. The Lansing Board of Water and Light (LBWL) has been an important partner in our solar project. 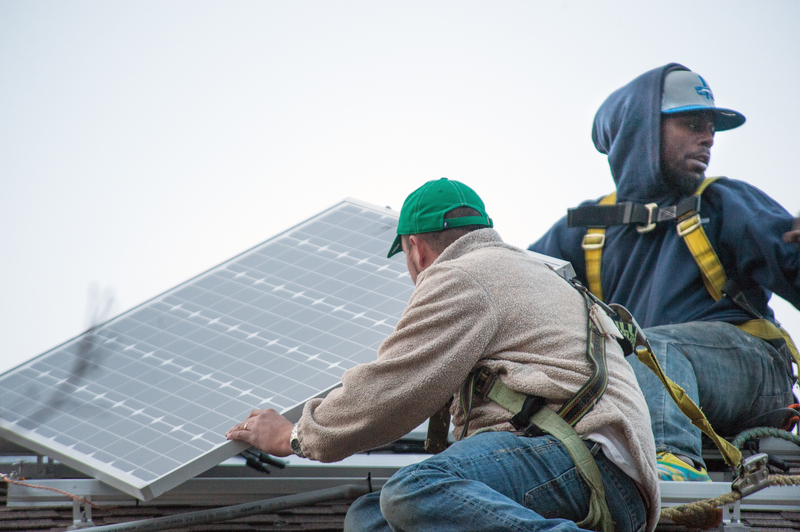 LBWL has a net-metering program that allows customers to install solar panels and "roll back" their electricity meters. That means MEC's monthly LBWL bill will reflect the cost of the "net" electricity we use after the solar power generated that month is subtracted from the total. Additionally, MEC took advantage of LBWL's generous solar incentive program, which offered a $500 payment for every kilowatt of installed solar power. The $1,120 incentive payment MEC received reduced the total cost of the project to MEC by 12 percent. This is just the first step in our plans for a comprehensive solar system on our property. We are preparing to line up private investors to fund an additional 35 panels on the property. When complete, the entire 43-panel system will generate 13,250 kWh per year-roughly half of the building's electricity usage. 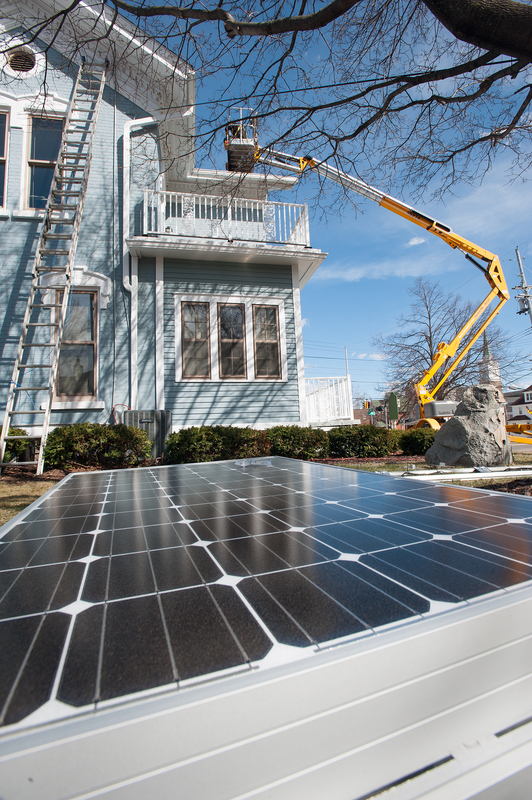 If you're interested in pursuing a solar project and want to learn more about the planning, financing and other details involved, we'd be glad to talk with you about our experience or give you a tour of our place. Feel free to give us a call at (517) 487-9539. It's a pretty fascinating time to be undertaking this project; the solar industry is booming and the cost of generating electricity from sunshine is plummeting. As those trends continue, we expect to see a lot more rooftops across the state looking like ours now does.